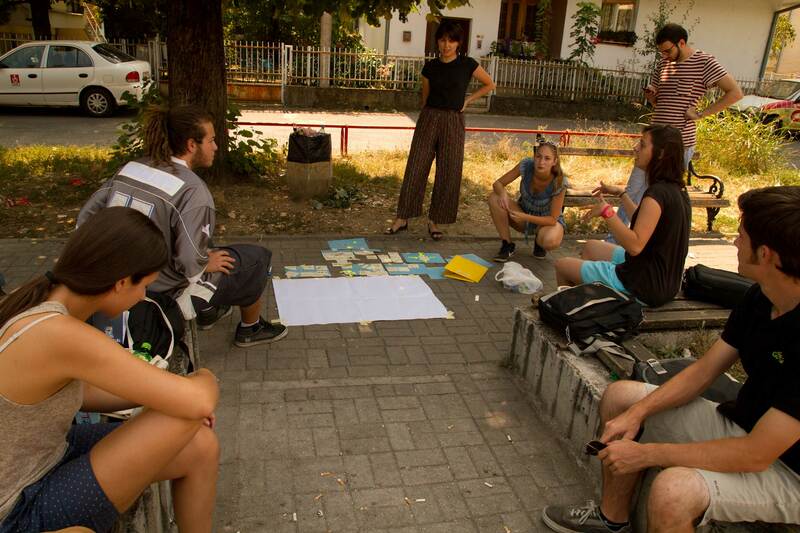 TETOTETRIS is a three day event in Tetovo (29th – 31st of August 2014) that consists of theoretical and practical workshops, 20 minutes presentations, brainstorming, alternative city tours and interviews with locals, debates, short movie projections and music performances. 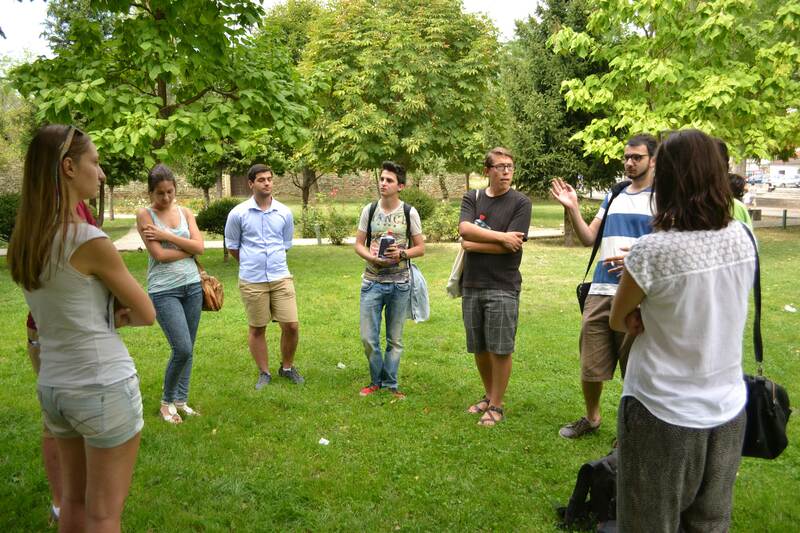 TETOTETRIS is organized by MELEEM with the support of Balkans, let’s get up. 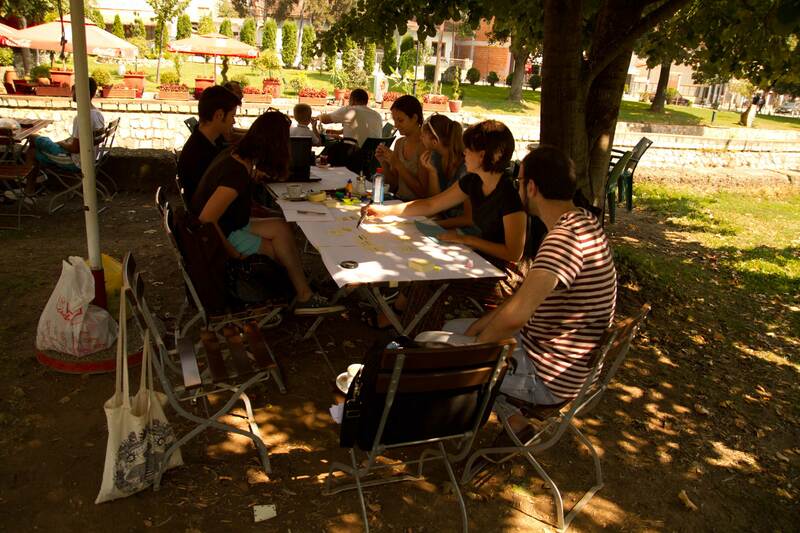 TETOTETRIS wants to encourage young people to express their opinions and possible solutions to the problems in the city where they live by promoting themselves, their skills and knowledge. 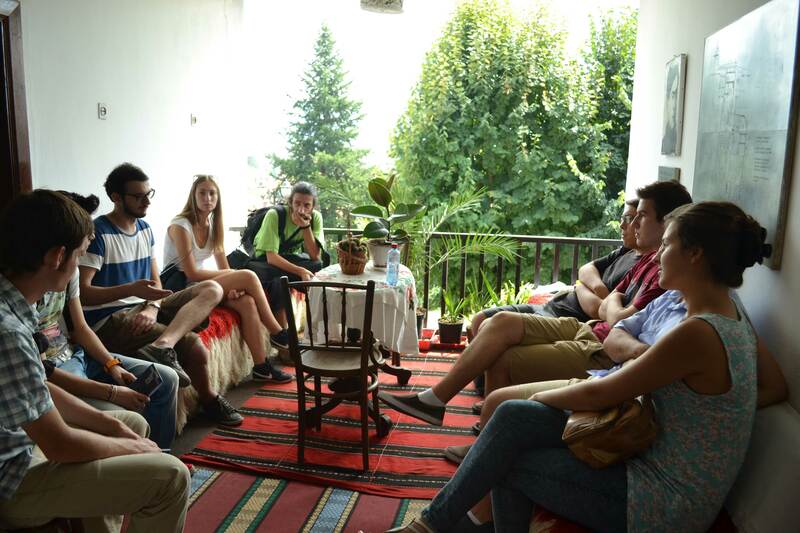 It wants to empower them to expose their researches and experiences in different fields, through different skills in order to use them to improve the living conditions in Tetovo. 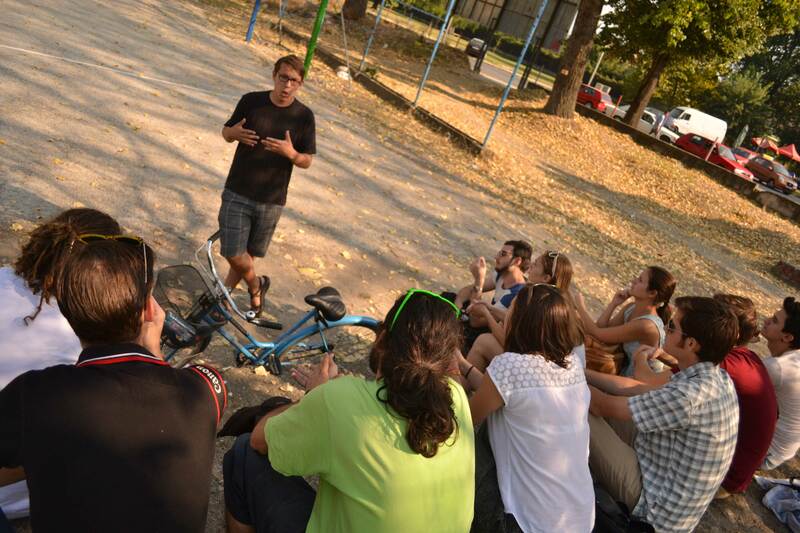 The three day workshop at TETOTETRIS resulted in the project Ajduchko GIGA center which was a presentation that wanted to attract the attention of the local citizens of Tetovo and Ajduchko neighborhood about the actual situation of the park. 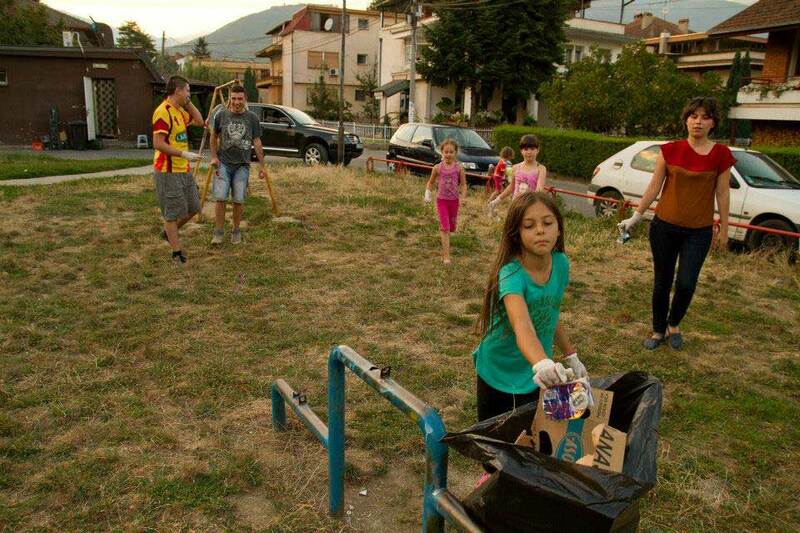 The idea of Ajduchko GIGA center was to point out the park in Ajduchko and to raise the awareness of the people who actively use the park about the great value that this park has for their everyday living. 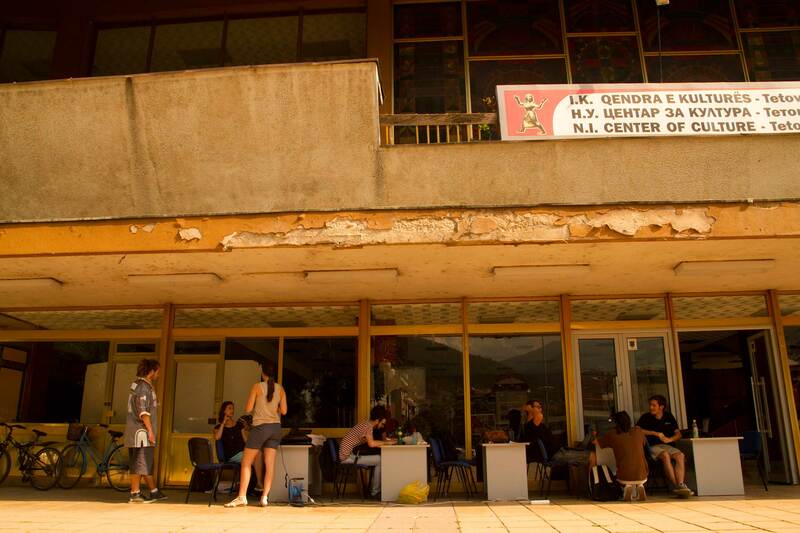 The goal of Ajduchko GIGA center is to remind people that the public space is theirs and they should take ownership of it and feel responsibility for its maintenance and condition. 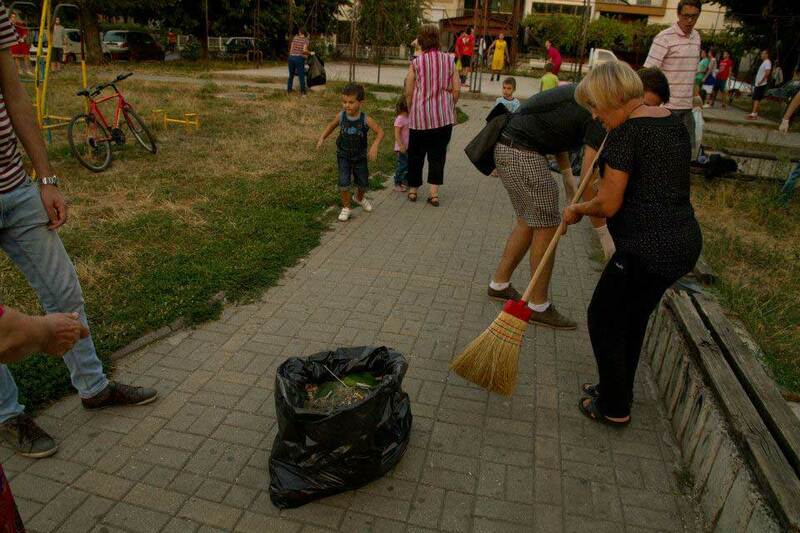 The discussion finished with a cleaning action where both the participants and the local people participated. 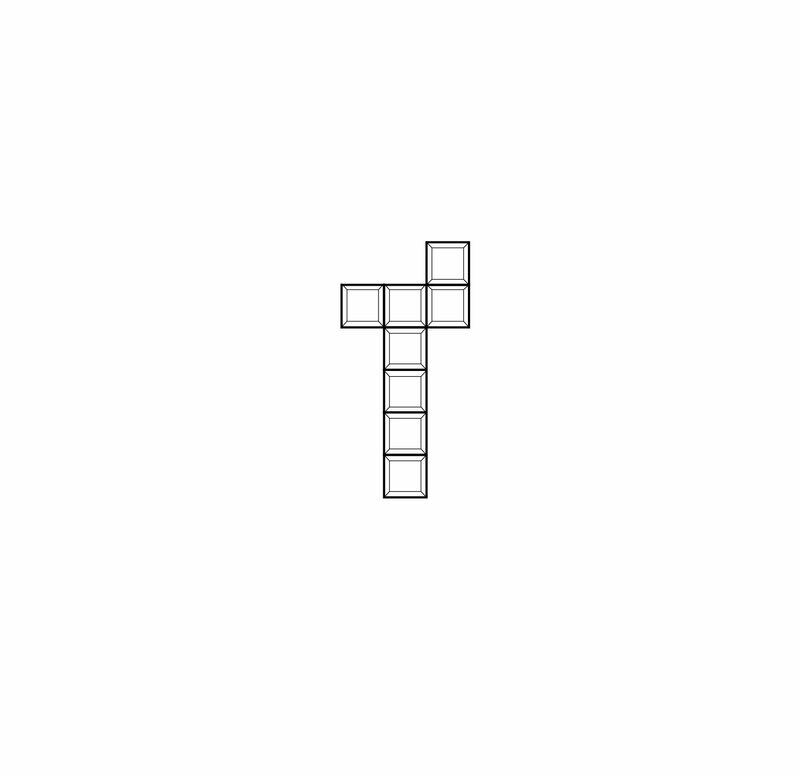 Thanks to all people that took part in TETOTETRIS. All photography is by Arnaud Lanouiller. 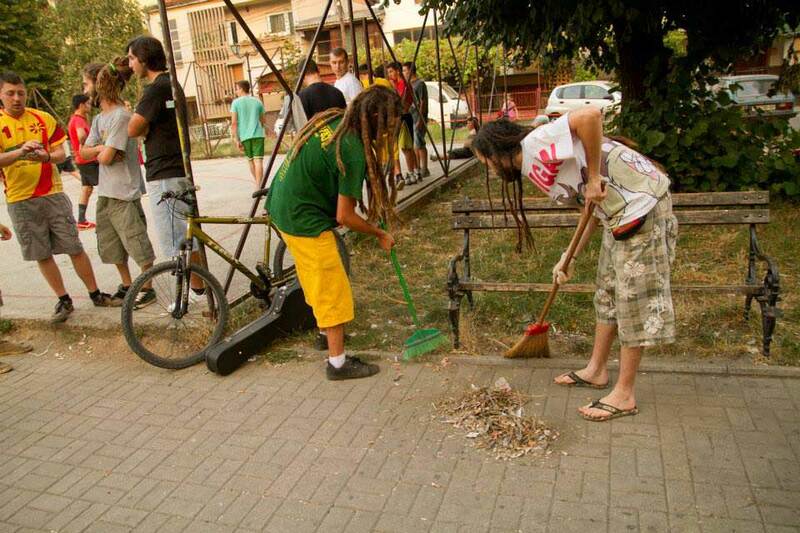 For even more photos, visit TETOTETRIS’s page on Facebook. For a short video of the project TETOTETRIS, click here.